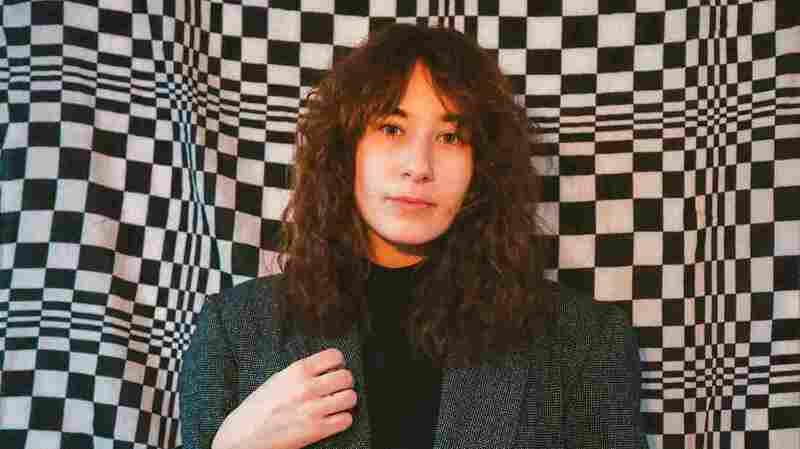 Emily Reo's 'Only You Can See It' Shimmers Like A Superpower The Brooklyn-based pop artist shines her light on some of the least sparkling realities of the human experience. 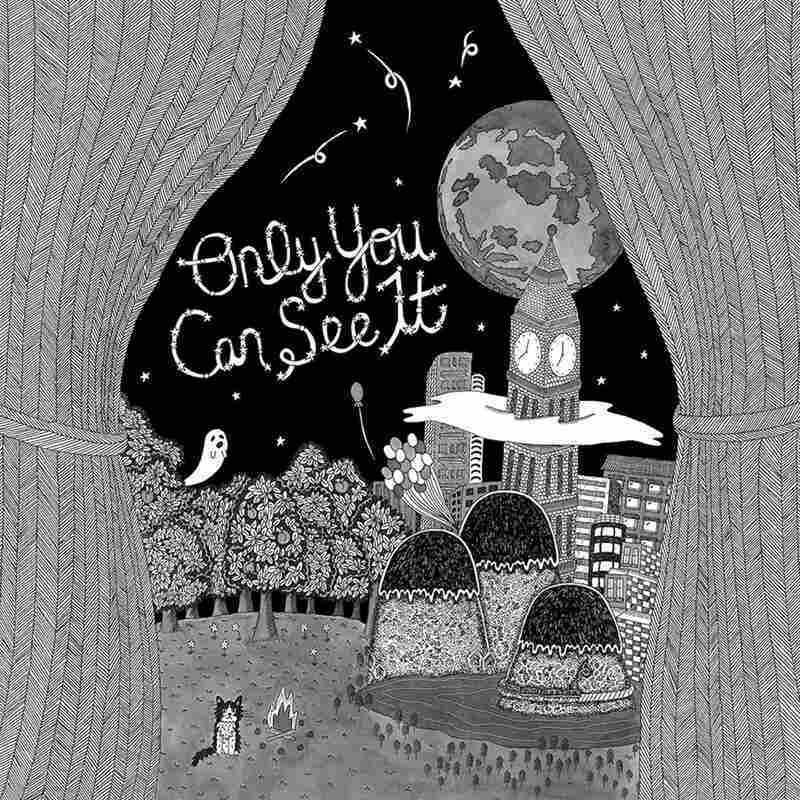 Emily Reo's Only You Can See It is out April 12 on Carpark Records. Emily Reo wields an aura of technicolor shimmer like a superpower. On new album Only You Can See It, The Brooklyn-based pop artist shines her light on some of the least sparkling realities of the human experience. Take opening track "Phosphenes," for example, where we are greeted by hand clapping similar to the sound of a children's game of patty-cake. Reo's vocoder-processed voice kicks in, wryly questioning the girlhood aspirations of marriage that begin on the playground: "I caught a dangerous bouquet / Is this the last time I'll see ivy grow and die / I watched my body float away / A spark to objectify, flying unidentified." Throughout the album, Reo continues to explore such duality; despite the youthful exuberance of her hooky synth lines, glittering keyboard melodies and soaring harmonies, Reo's head space while recording was anything but carefree. In a statement about standout single "Ghosting," she shared it "was written during a time when I felt completely incapacitated by my own mind — my struggles with mental illness had reached an all time high, which resulted in me being too afraid to do anything. I more or less trapped myself inside the fabricated safety of my bedroom and stopped living my life." And what happens when she does decide to emerge into the world? "Sometimes it feels like I'm swimming with sharks / Just reading books by myself in the park," she sings on the exuberant "Strawberry." The pervasive undercurrent of misogyny she experiences in daily interaction is the same anxiety that leads many women to protect themselves with a veil of isolation. On the track's anthemic chorus, Reo peels back the layers with opulent energy: "What do you deserve from me? N-O-T-H-I-N-G / Wish you had earned that Ph.D. in R-E-S-P-E-C-T / I don't owe you anything!" For the past decade, Reo's sound has continually evolved, from the droning lo-fi noise pop of 2009's Minha Gatinha to her first experiments with looping synthesizers on 2013's Olive Juice. Only You Can See It is a leap forward from both; her vision has sharpened, and so have her production capabilities — the album was partially recorded with Julian Fader and Carlos Hernandez at Gravesend Recordings in Brooklyn, notably the home of recent releases from Frankie Cosmos and Sam Evian. Only You Can See It finds Reo balancing her undeniable effervescence with introspection and wisdom; it is the sound of someone drawing open their interior curtains, not just to absorb light, but to emit their own beams into the ether.